Over the years cupcake liners has become one of my favorite crafting materials. 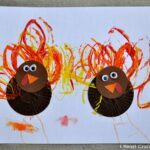 It’s amazing how many awesome things you can create with cupcake liners! 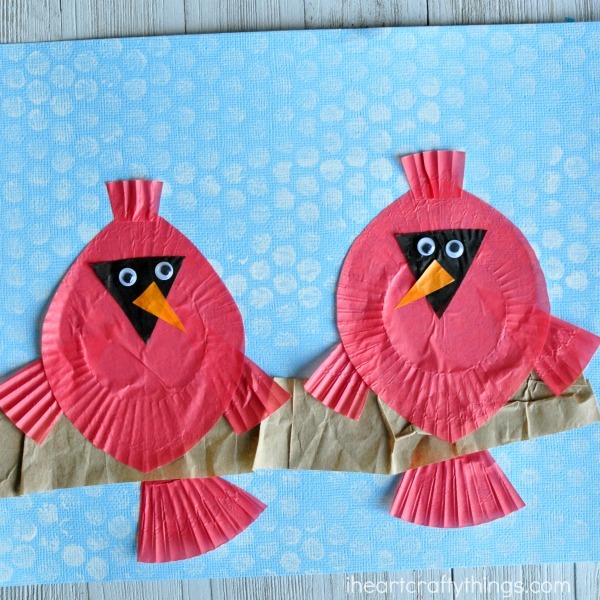 Today we are sharing how to make this cupcake liner cardinal craft. We added a fun falling snow background to make this great for a winter craft, but you could also omit the snow and make it any time of the year. 1. 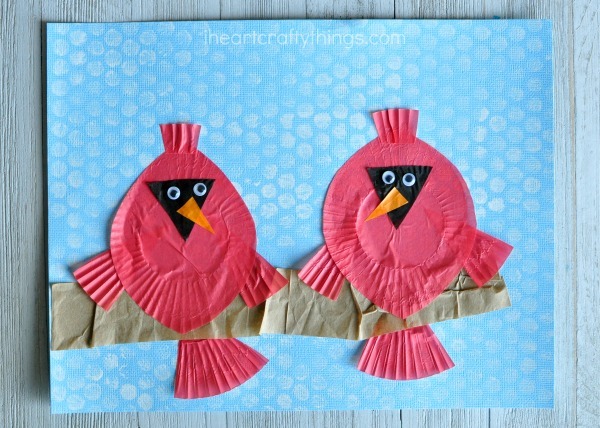 Start by cutting out the pieces you’ll need for your cardinals out of your cupcake liners. See the picture below for each numbered step. 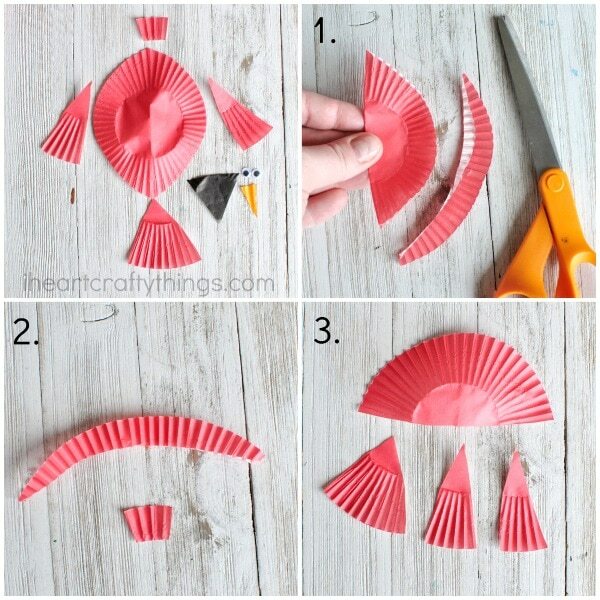 First, fold one of your red cupcake liners in half. Trim off the outside edge to trim down the cardinal body and unfold it. 2. Cut out a small top section for the head out of that piece you cut off. 3. Cut another cupcake liner in half. Cut off three sections from half of the liner, making two side feathers and a tail feather. 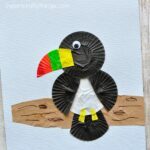 You’ll also need to cut out a triangle from your black cupcake liner for the face and a beak from your orange cupcake liner. 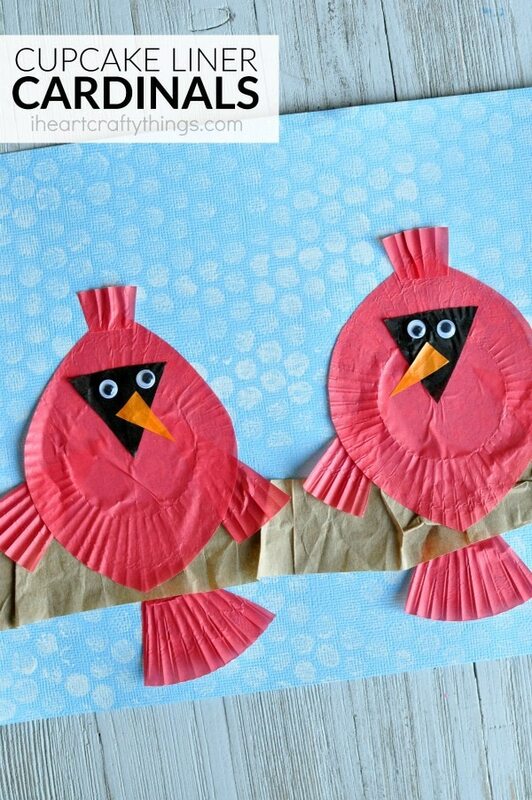 Or cut those pieces out of cardstock or construction paper. 4. We wanted our background to be like snow falling but this is completely optional. If you want to make the snow background, cut out a piece of bubble wrap a little larger than your light blue cardstock. Paint the raised bubbles with your white paint. Place your blue cardstock onto the painted bubble wrap, then rub your hand all over the paper to transfer the white paint. Then carefully peel the cardstock off the bubble wrap and let the paint dry completely. 5. Cut a section off your brown paper lunch bag for a tree branch. Crinkle it up, unfold it and then glue it near the bottom of your blue cardstock. 6. Glue the cardinal body onto your tree branch with the wings on the sides underneath. Glue the top head piece and then the triangle face, googly eyes and beak. 7. 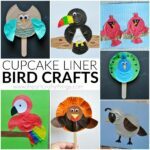 Finish your cupcake liner cardinal craft by gluing the tail feathers underneath the tail branch below your cardinal bird so it looks like it’s perching on the tree branch.